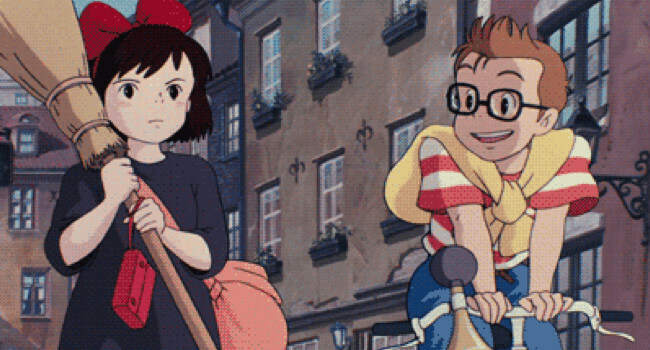 In Kiki’s Delivery Service, Tombo is obsessed with aviation and even made his own propeller bike. It’s no big surprise that he develops a crush on Kiki especially after he finds out she can fly. 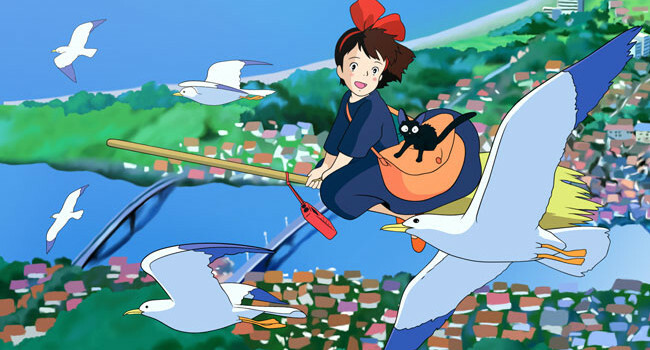 Kiki is a 13-year-old witch who leaves her village for the big city with her black cat Jiji by her side. There she supports herself by setting up a delivery service for the local bakery, making the most of her ability to fly. Being a witch has its perks.